Riding experience with them is similar as riding our race snowboard, which means that you can easily carry out smooth turns on edge with maximum lateral deviation. Skis under the brand SENSE are being produced for 10 years and follows the same concept as snowboards. Skis should be easily manageable with a strong grip on the edge. Skis are produced in six different lengths and two widths. Skis are made in a 'sandwich' structure with a wooden core with carbon fiber reinforcements and titanal. Low front profile of the skis allows stable riding even in soft and bumpy snow. 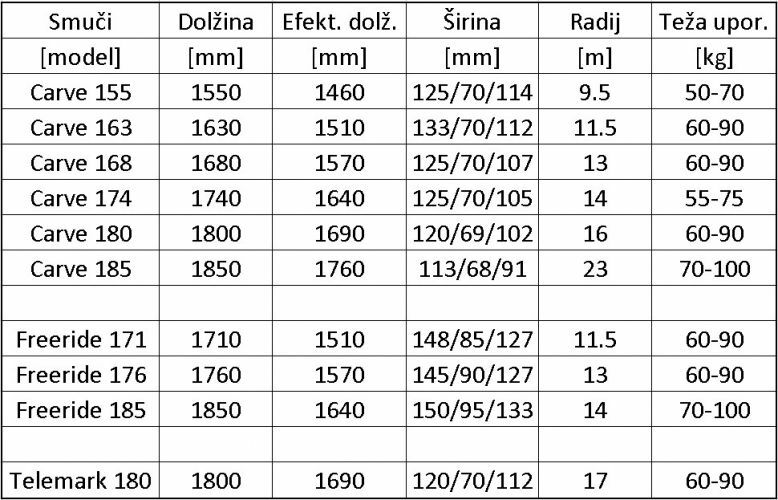 Contact us and we will arrange a ski test. 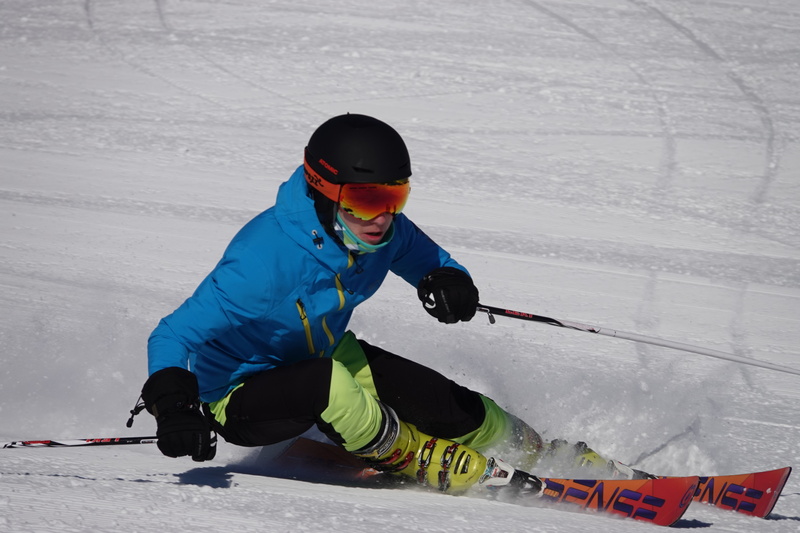 The length of ski dictates the speed in curves with its radius and the frequency at which the edge transition can be made. 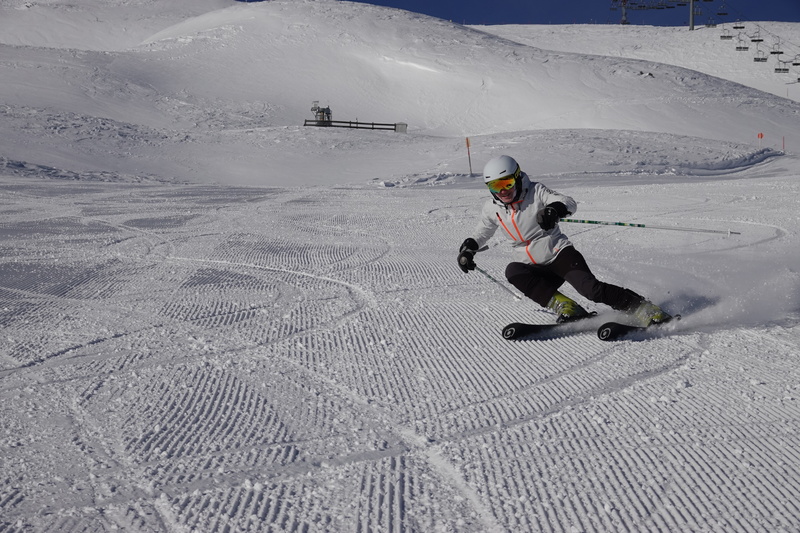 Width of the ski has an impact on the soft surfaces or over powder snow. Our Freecarve line is available in three lengths. 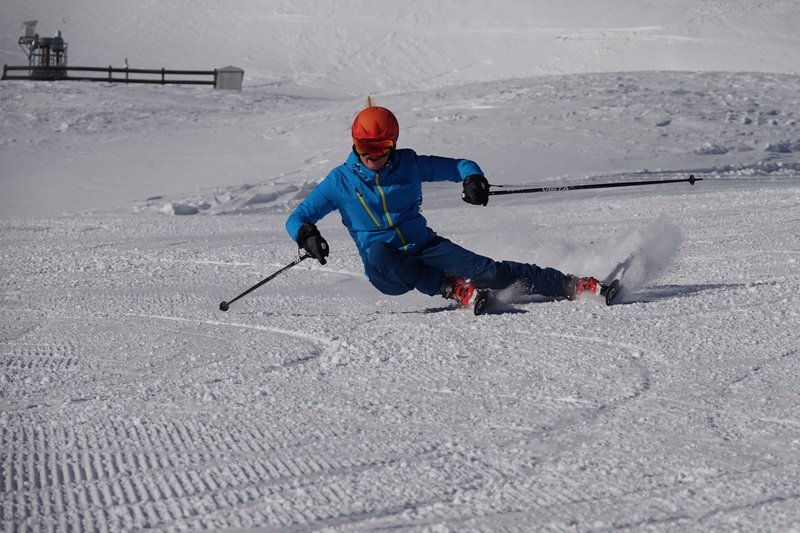 Freecarve skis are just wider version of the classic carving skis and are combining excellent usability on and off piste. 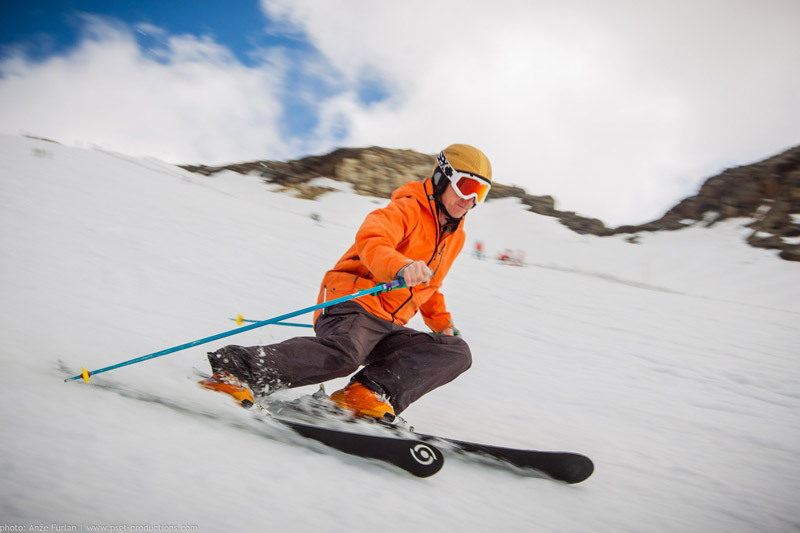 All skis have a smaller side radius per unit length than most skis on the market so that they are especially designed for skiers who enjoy dynamic, fast turns on the edge. 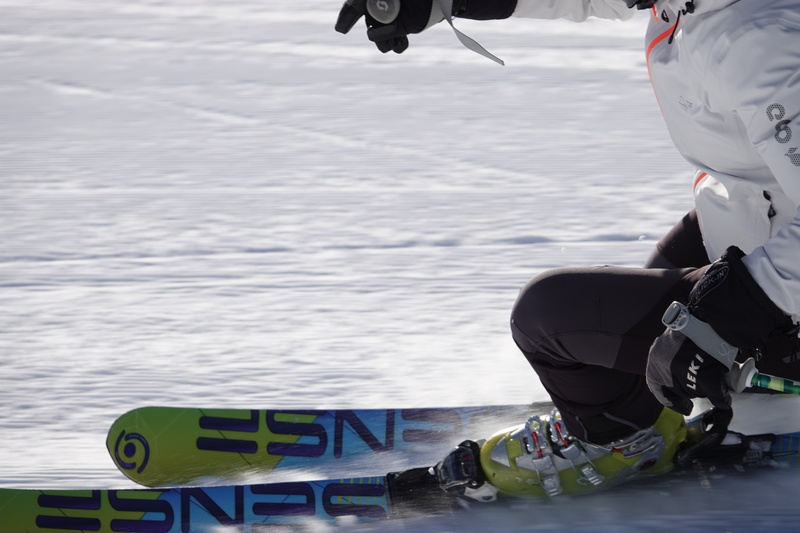 Our innovative design allows the skier to ski with less effort and with good edge grip on all surfaces. 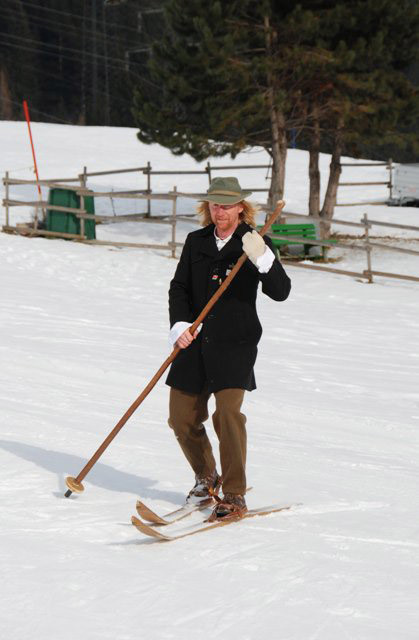 Furthermore, the design of the ski is such that the weight of the skier does not play a significant role in the selection of the length of the ski. 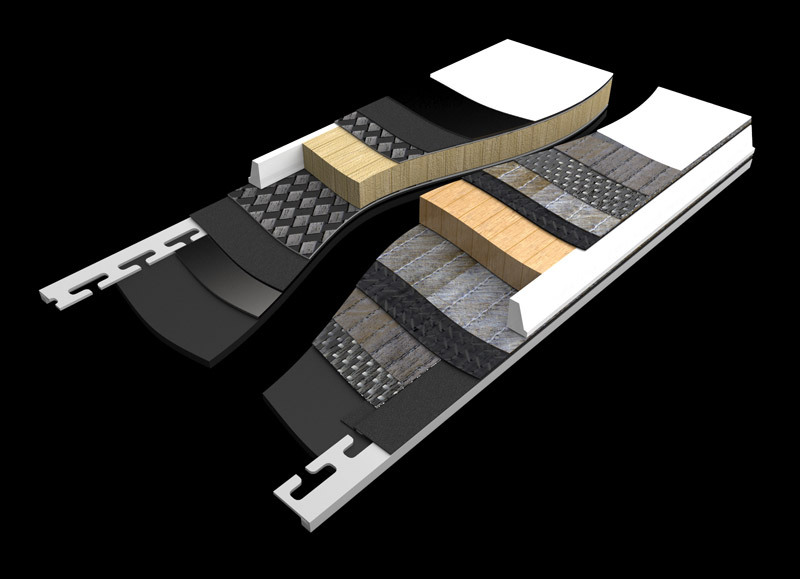 Sense base plates are an important component which ensures that the force of the body in turn is distributed evenly on the edge and adapts to the slope (0 ° -70 °) at which the ski pushes on the snow surface. SENSE baseplate is made from four different materials (glass fiber, carbon fiber, flax fiber and aluminum), since each of them hides a variety of features, and only complements the story of perfection.